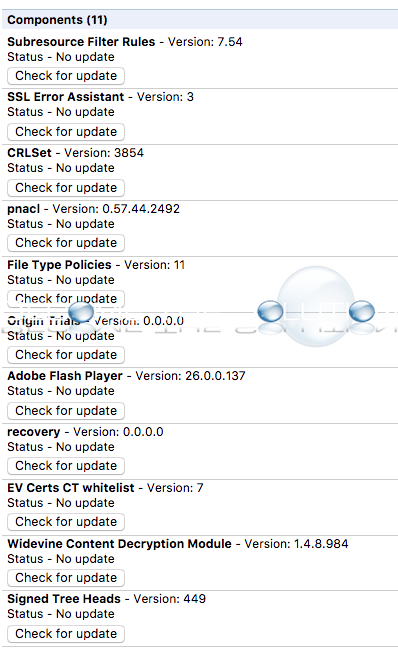 Check your Google Chrome components version and manually update them. Click check for update next to each component. Note: Google Chrome updates all components when there is an update to the Google Chrome browser itself. Currently, you can check for updates for the following components.